In his new, 9 hour Masterclass, GM Damian Lemos breaks down some of the most spectacular tactics ever played, revealing the piece formations that make them work, how to spot the “clues” in the position and how to analyze each line efficiently to make sure there are no nasty surprises in your games! Tactics win games. If you want to get the edge over your opponents, there is no quicker way than by mastering the secrets of chess tactics! By analyzing 17 brilliant tactical games in their entirety, Damian shows not just how to find game-winning tactics, but also teaches the attacking technique required to make sure you bring home the full point. With classics from world champions Tal, Spassky and Anand plus modern brilliancies including the 2017 game of the year, you will be absorbing invaluable tactical patterns as well as being trained in GM calculation techniques. 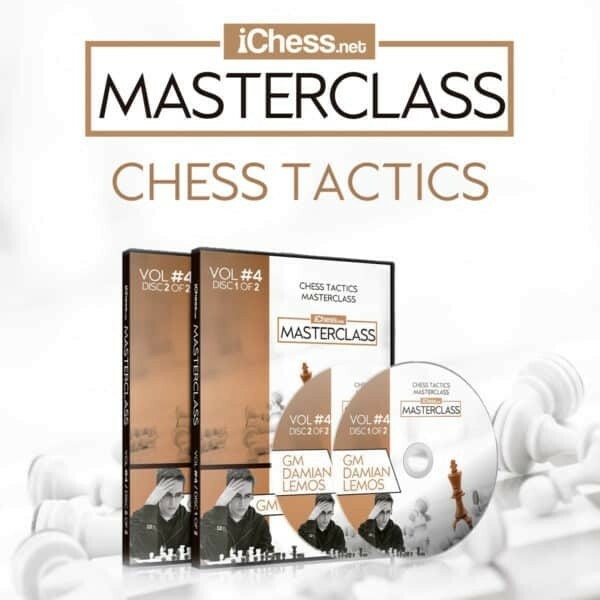 Unleash your inner chess genius with the Chess Tactics Masterclass!